Here are a few of the characters that will appear in the film. Pinky is originally from Nangin, India. He has been working at the goat farm at Cora Formaggi for several years. He moved to Monesiglio with his wife Meena and his two sons, JB & Sonu. 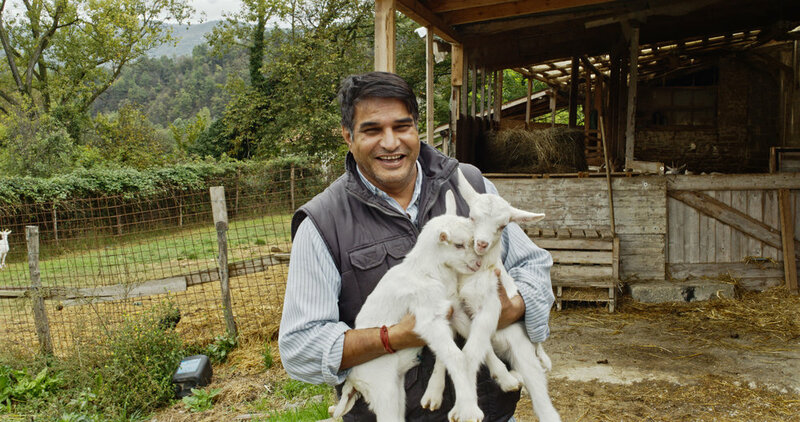 Gianni is the co-owner of Cora Formaggi, in Monesiglio, Italy. Together with his wife Paola, he has two grown-up children, Lorena & Francesco, who still help out at the farm and dairy on occasion. Paola is the co-owner of Cora Formaggi, in Monesiglio, Italy. Together with her husband Gianni, she has two grown-up children, Lorena & Francesco, who still help out at the farm and dairy on occasion.